UK new car market dips -1.6% in January as 161,013 models leave forecourts. Private buyers boost the market in first month of 2019, but fail to offset declines in business and fleet registrations. Demand for electric, plug-in hybrid and hybrid cars surges – up 26.3%, with petrols rising 7.3%. 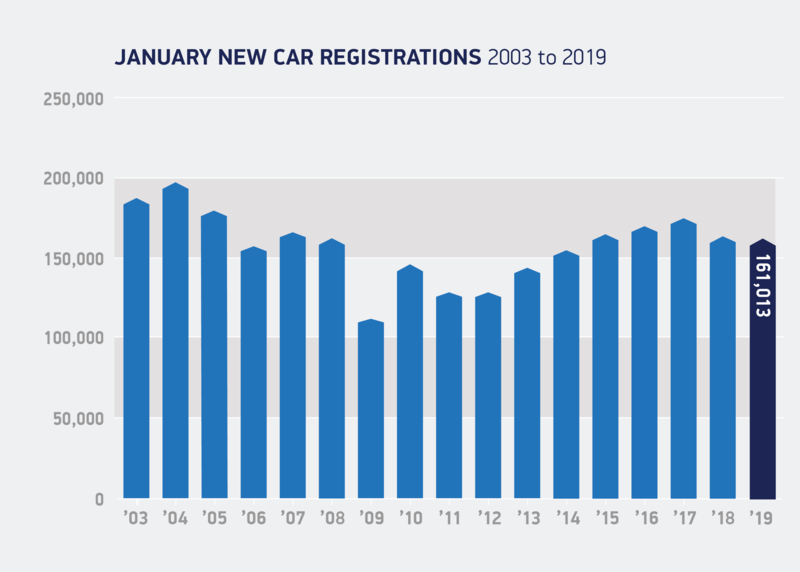 It’s encouraging to see car registrations in January broadly on par with a year ago as the latest high tech models and deals attracted buyers into showrooms. This, however, is still the fifth consecutive month of overall decline in the market. To restore momentum, we need supportive policies, not least on vehicle taxation, to encourage buyers to invest in new, cleaner vehicles that best suit their driving needs – from the latest petrols and diesels to an ever growing range of exciting electrified vehicles. This would be good for the environment and good for the industry and those who depend on it.